Looking for Scrivener formatting? Check out our Scrivener formatting series. First and foremost, on behalf of anyone who’s ever formatted a book, let us tell you: when you’re writing, you do not need to manually add spaces in front of every paragraph. You also don’t need to add a tab or anything other than a carriage return (also known as pressing the enter button). Instead, you can set your first line indention, spacing, justification, and everything else using the Paragraph Settings in Word. This serves two purposes: First, if you decide to use a formatter, they’ll be able to import your book without having to fix every paragraph. And second, if you decide to format yourself, you won’t have to fix every paragraph, either. Very important: When you’re ready to export, you must make sure the text is justified. It’s a real bummer when we pick up a good-looking book to read and find the manuscript is left-aligned. One of the cooler, bookish features of Microsoft Word is the Headings feature. A heading is simply a reusable formatting set, like font size, type, and spacing, that you can re-use across your manuscript. So, for example, if you’ve got letters in your manuscript, and you’d like them to be formatted in Comic Sans 14pt (don’t do this), you can set up a heading for letters. When it comes to Chapter Headings, the benefit is twofold. First, as we said, it will format your chapter headings the same across the board. But more importantly, when you set all your chapters as “Heading 1,” you’ll then be able to put an automatic table of contents at the front of the book. No more scrolling through your book to find page numbers. 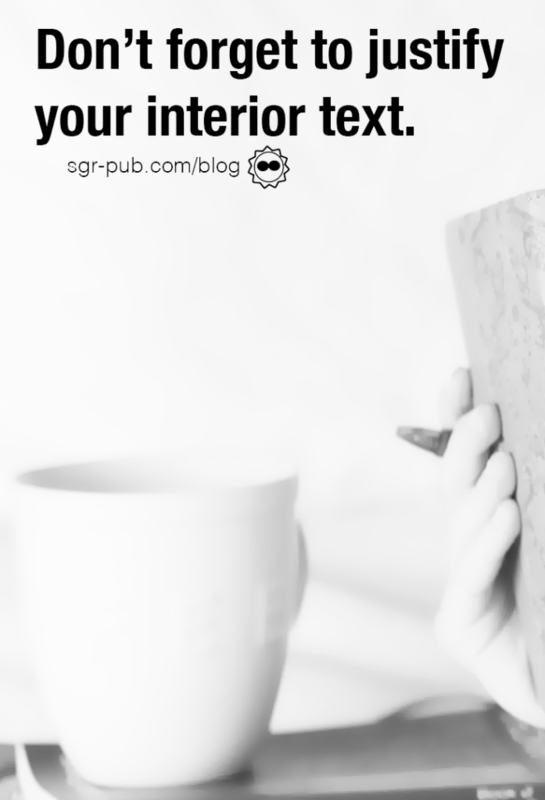 Most self-publishers use either 6×9, 5.5×8.5, or 5×8 for their paperbacks. Luckily CreateSpace offers templates for you to use to help make those sizings correct. 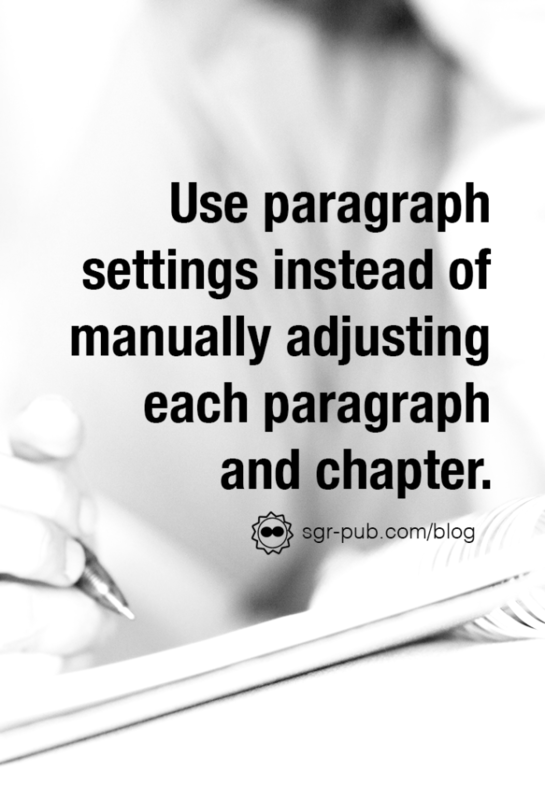 But if you’ve already got a formatted manuscript, you can simply copy those parameters. Here’s a handy step-by-step guide to help you. Now, depending on certain factors like book length, print pricing, etc., you may want to make your margins a little bigger or smaller. As long as they meet the minimum requirement, there shouldn’t be an issue uploading to Ingram or CreateSpace.